After many years of bickering, infidelities, and general unhappiness and upset with each other, Jack and Miranda decided to divorce. To their credit, they are seeing me to make sure their kids are alright.They have no interest in reconciling. They have even less interest in talking about anything except the kids. But despite their inability to make their marriage work, they are both concerned and loving parents of Jason, age 11, and Brittany, age 8. “I don’t know,” says Jack. “Jason may tell you that. But Brittany tells me she wishes you would stop bugging me. Here we go. Despite their best intentions, these two can’t get to sentence three without finding a reason to fight. 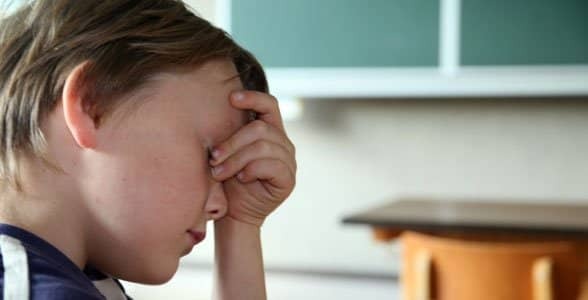 It’s my job to keep the emotional temperatures down, to keep blame and shame out of the room, and to instead focus on determining what the kids need and how to support them. 1. Are the kids siding with one or the other parent? In the case of Jack and Miranda, their son is protecting his mother. The daughter is dad’s miniature lawyer. Both parents need to reassure their kids that the divorce is adult business, that they don’t need the kids to intercede, and that the kids can focus on being kids. The children need both parents to encourage them to not take sides and to have a loving relationship with the other parent. 2. Are the kids clinging to each other more? Sometimes kids lose faith in their parents’ ability to care for them emotionally or even physically. It’s wonderful when siblings can be friends. It’s concerning when they turn exclusively to each other for support and help. Brittany has been going to Jason for comfort, for companionship, and for practical help. She asks him to help her make her lunch for school. She asks him to help her with her homework. It’s crossed the line from good big-brother behavior to Jason becoming more like a third parent. Jason needs to be let off the hook. Brittany is aching for her parents to pay more attention to her needs. Mom and Dad can encourage Brittany to make her lunch with one of them. They can tell Jason he has enough of his homework to do and they are glad to help Brittany. 3. Are the kids hanging around the house more and refusing to go places like a friend’s house or a birthday party? Sometimes children have the idea that if they’re around, their parents won’t fight. They stay close to home to keep things stable. Brittany is going on play dates but Jason hasn’t wanted to do much for weeks. He’s the type of kid who takes on far too much responsibility for the peace in the house. It would help if his parents told him that as much as they appreciate his concern, they are working to find ways to cool their jets on their own. They could tell him they’ve hired a counselor so he’s out of a job. When they find new ways to manage their differences Jason may start to believe them. 4. Is there a change in how the kids are performing in school or in other activities?Both over and under achieving sometimes indicate a problem. Some kids go to great lengths to do as much right and perfectly as they can in order to take stress off their parents. Some believe that they are partly at fault for the break up and try to make up for it by being extra “good”. Others seem to think that being perfect in every way is what they can do to make things better for mom or dad. Other kids go in the opposite direction. They lose interest in school. They stop going to scouts or soccer practice or stop hanging out with friends. Sometimes this is a symptom of depression. But sometimes it’s a way to distract the parents from their complaints with each other by pulling the focus of concern to kid problems. A counselor can help parents understand whether the over or under-achieving has to do with the divorce and if there is a way to get the kids back to their version of normal. Often, telling the kids to either let up on themselves or to get moving won’t work. They need to see their parents dealing with each other more effectively and less angrily before they can change.